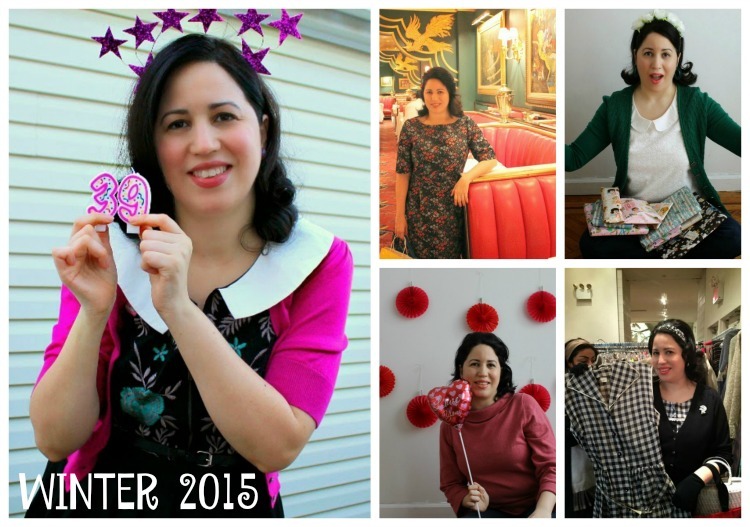 Here's another year of dressing up under my belt! Although I dress up as much as I can I really feel as though I didn't dress up as much as I wanted to. One of the things I love about being a vintage blogger is that it has made me aware of the importance of taking care of myself. It has also encouraged me, as weird as it may sound, to step outside of the box and dress the way I feel. The mommy look is super comfortable and works well when I am playing with my children, but there is something nice about putting in the time and effort to spruce myself up with some nice clothes. 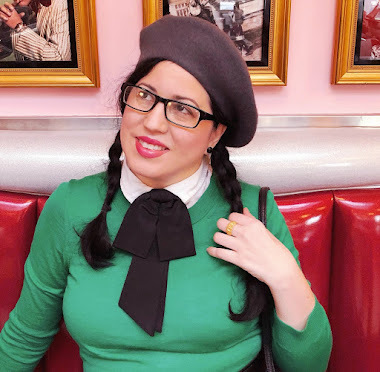 If I am unable to dress head-to-toe in vintage (usually the only reason is finding something in my size and style) I dress up with as much of a vintage feel as I possibly can. I know the other moms at school events might think I am weird but I don't do it for them. I do it because it compliments the person I am on the inside as I am able to express it through fashion on the outside. I hope that makes sense. Here are some of my looks from the past year. 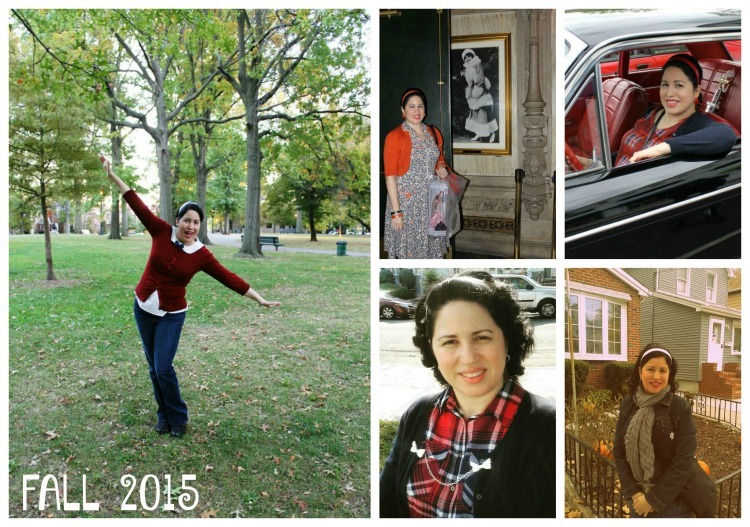 Here's hoping for more opportunities to dress up and more fun in expressing myself through vintage fashion! 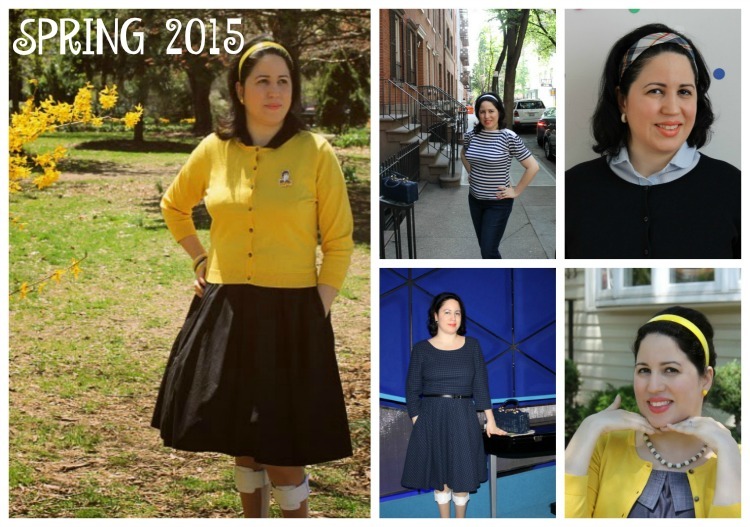 When I was putting together this post I found it so much fun to look back at 2014's fashion review. 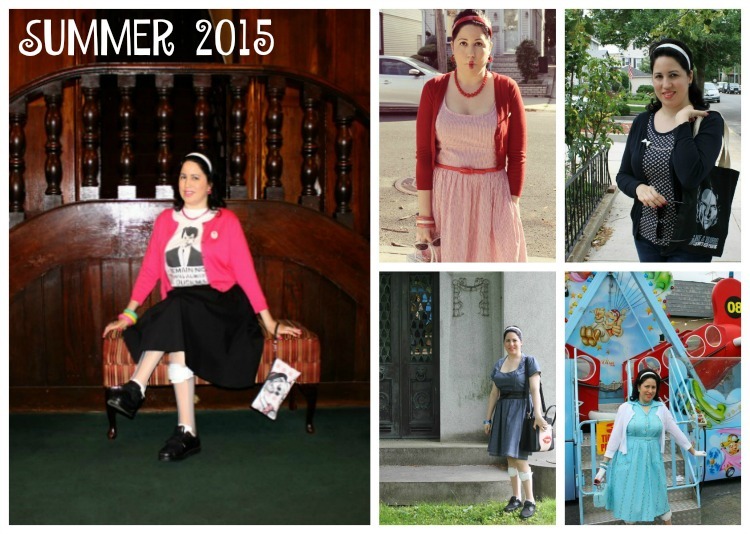 I think it would be neat if you were able to look back at your year of fashion. Maybe you will see some things that worked best for you than others or like me, find it fun to look at all the styles that were experimented with throughout the year. If you have looked back, let me know all about it! Great styling job on those outfits! I can see you love cardigans. So do I. Love to pair them up with 50s skirts and dresses. Such a classic, ladylike look. Makes me feel like Donna Reed! Daffny you look great in all these outfits. Remember the outfit you feel the best in you often look the best in. Cheers to all your lovely outfit photos and all the fun outfits you have in store this year.